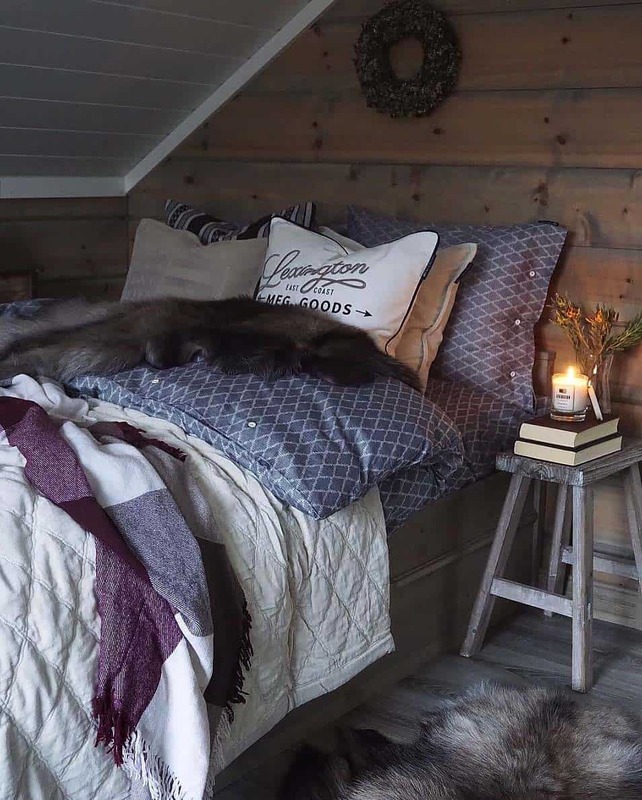 Even in the Arizona dessert where I live, the winter season can get pretty chilly when the sun goes down. 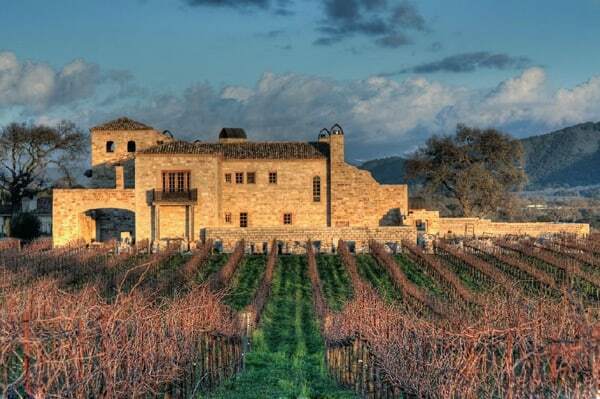 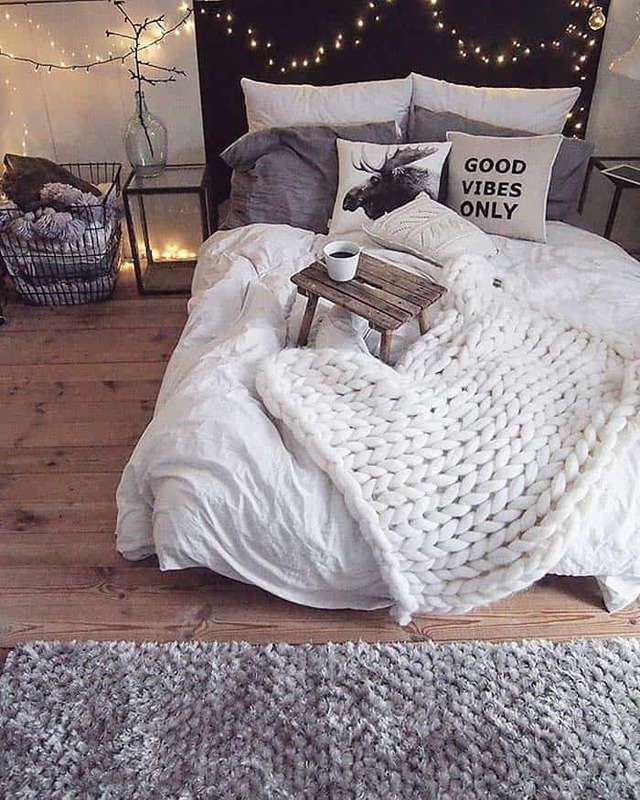 So it is pertinent to have some extra blankets or a warm, cozy throw laying around for some added warmth at night. 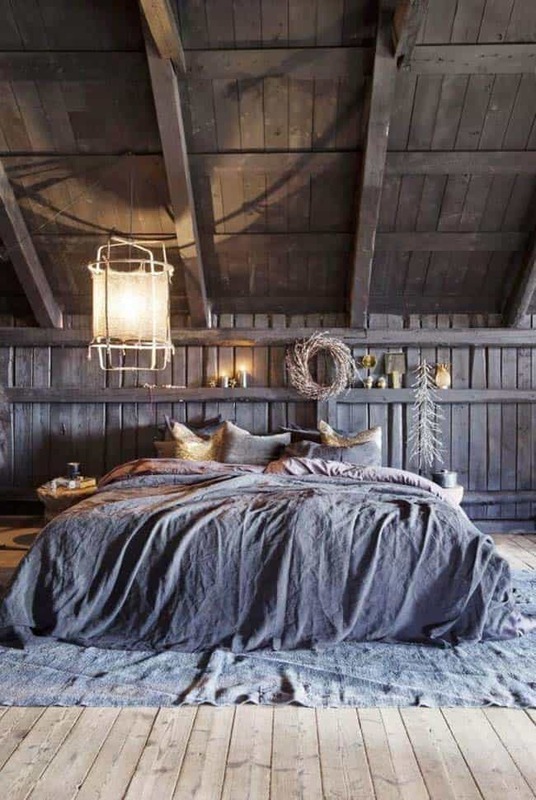 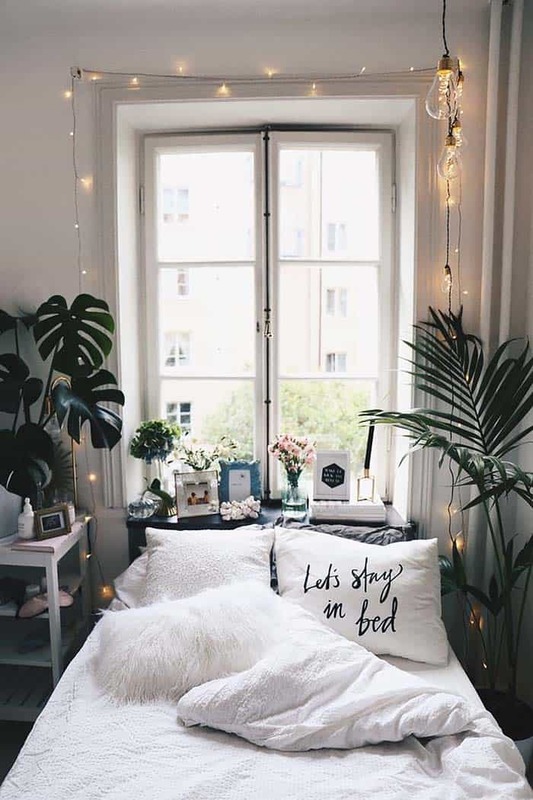 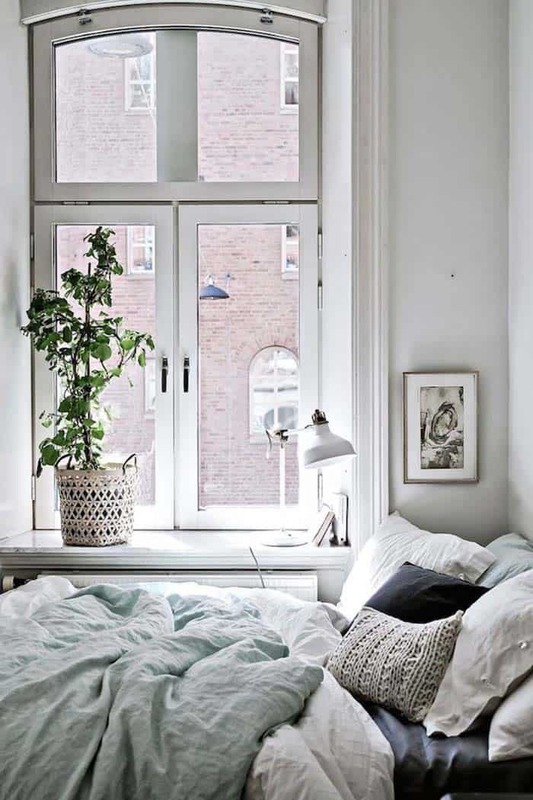 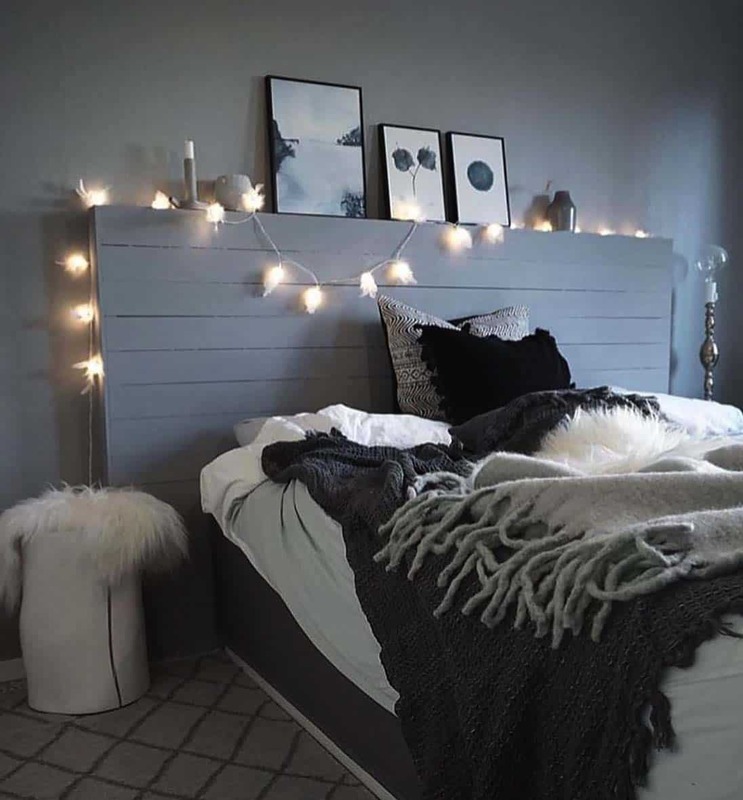 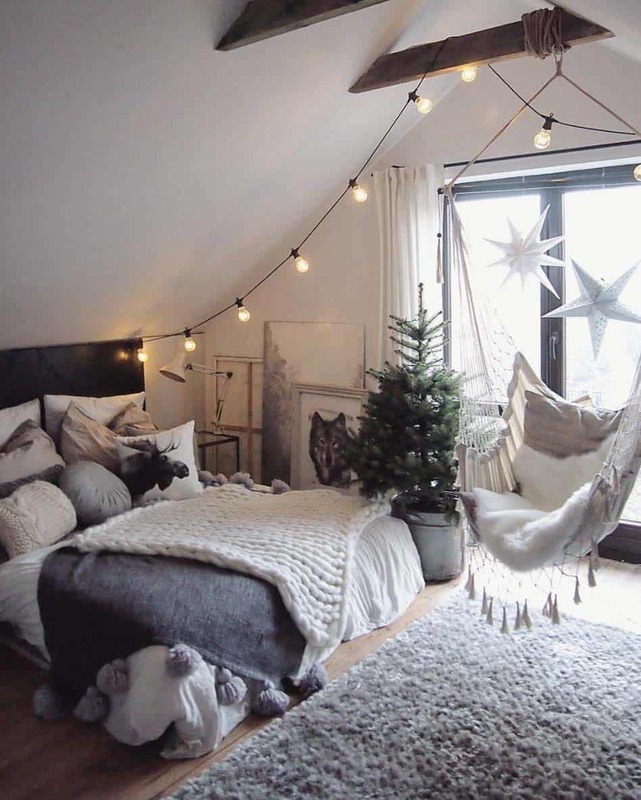 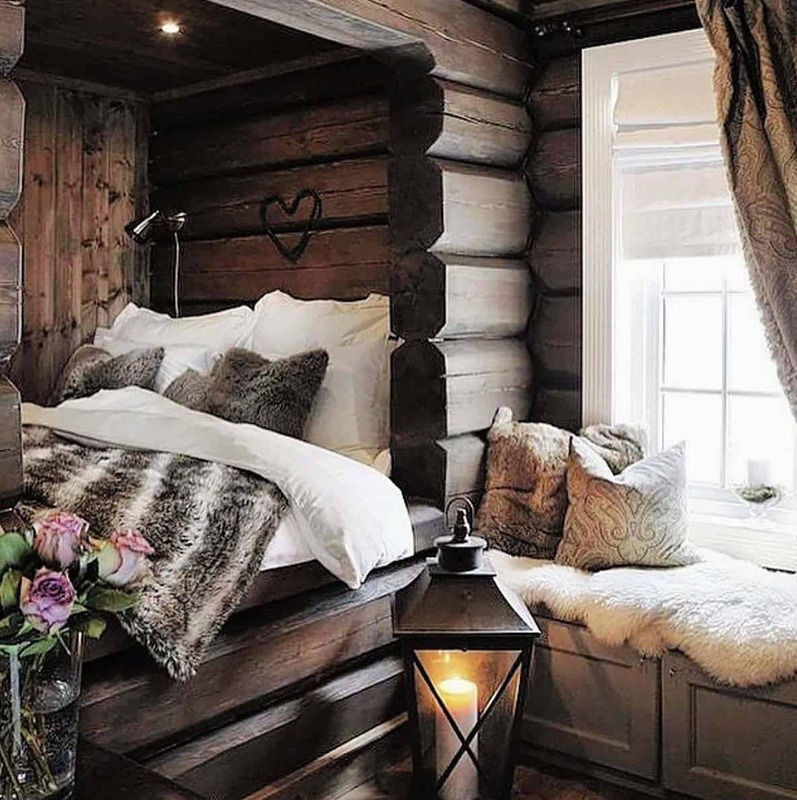 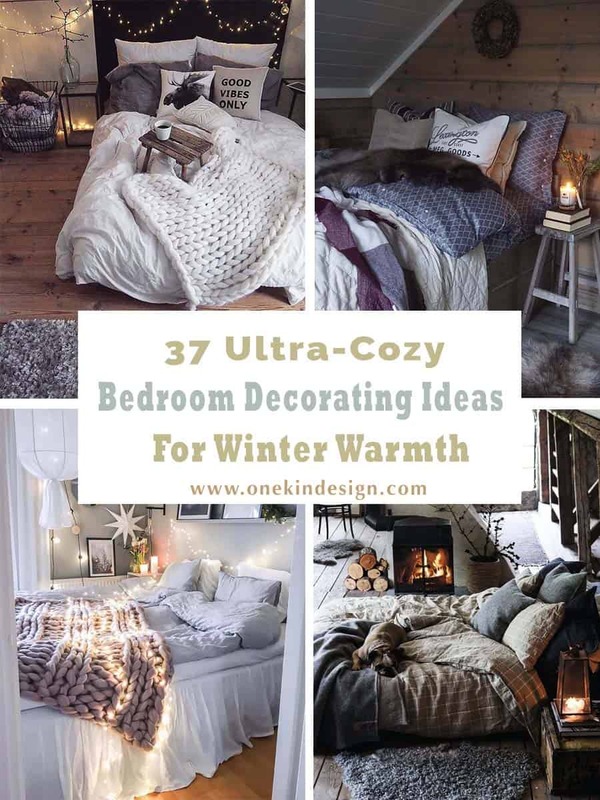 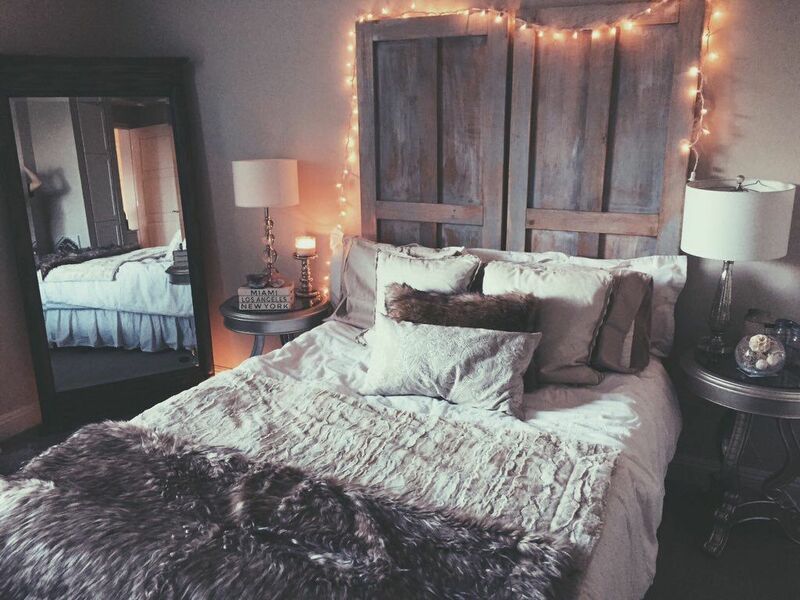 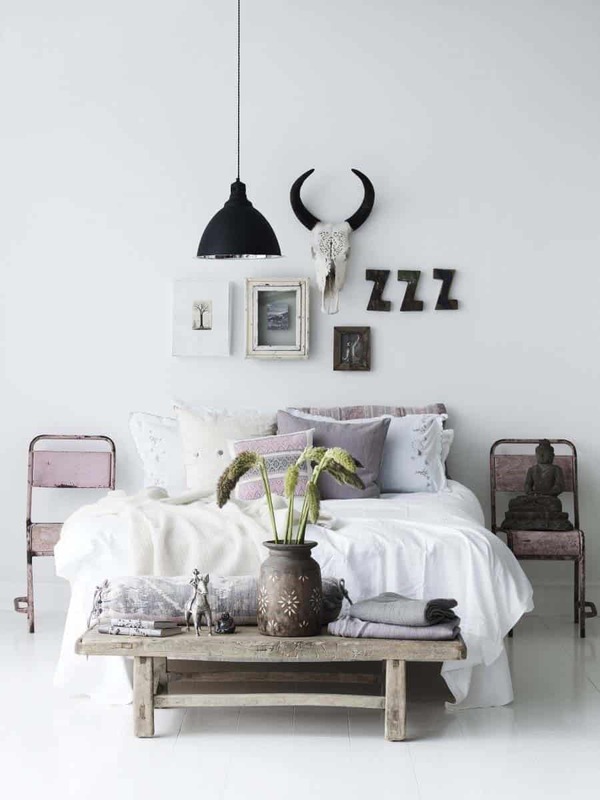 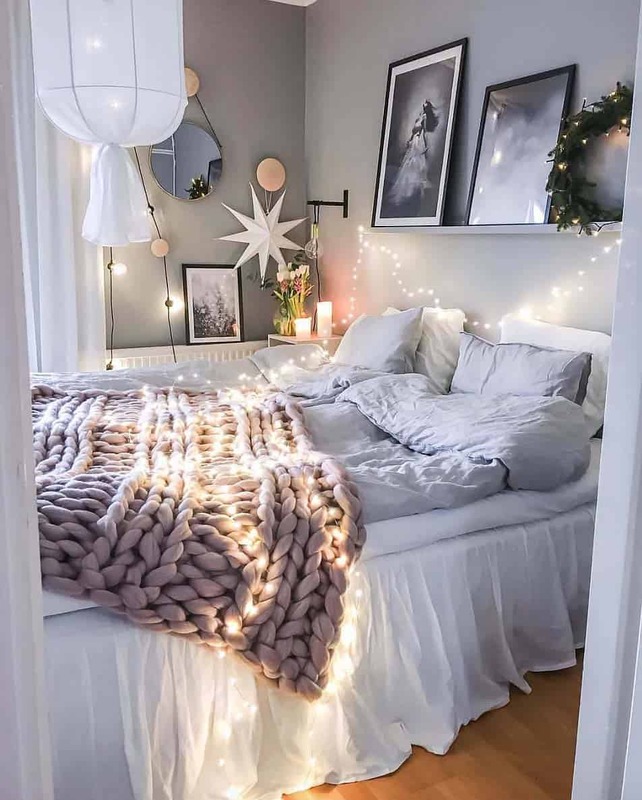 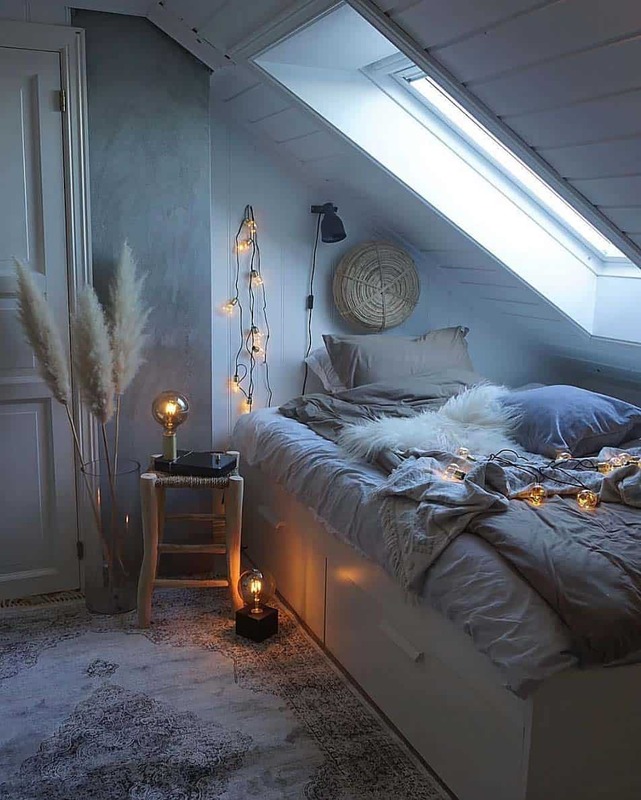 Why not also accessorize your bedroom space to signify the winter season. 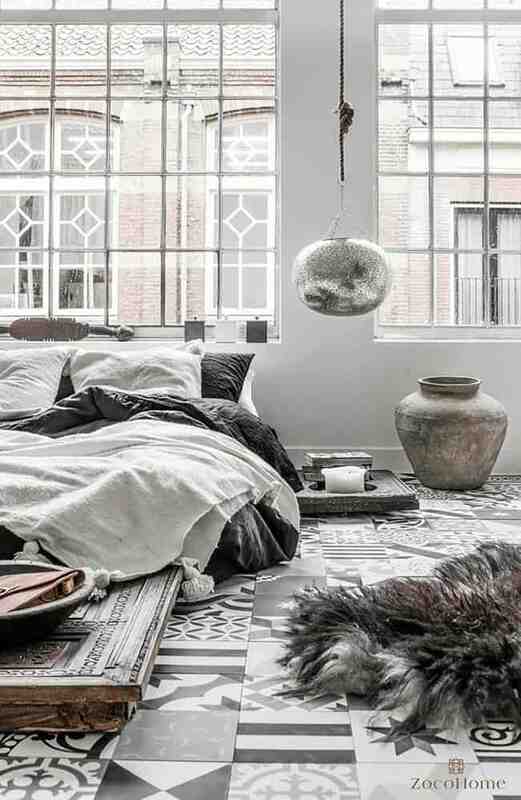 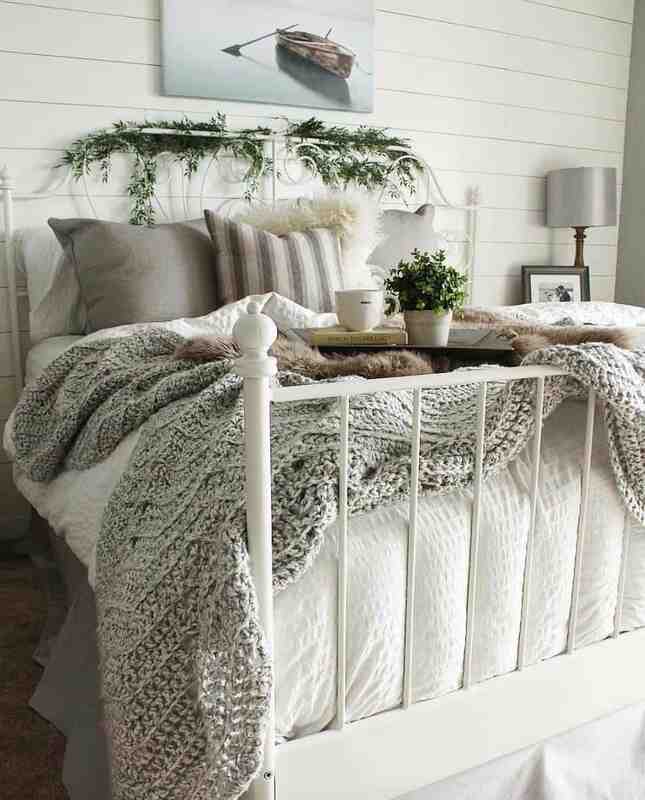 Layer textures in your bedroom with blankets and a chunky cable-knit throw at the foot of your bed. 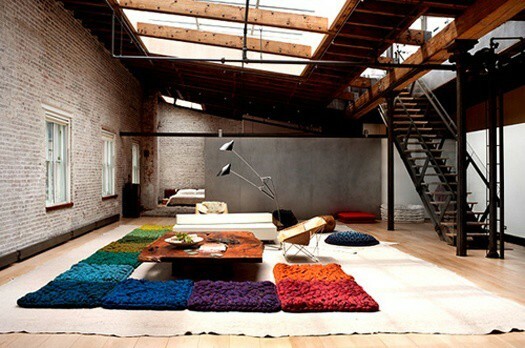 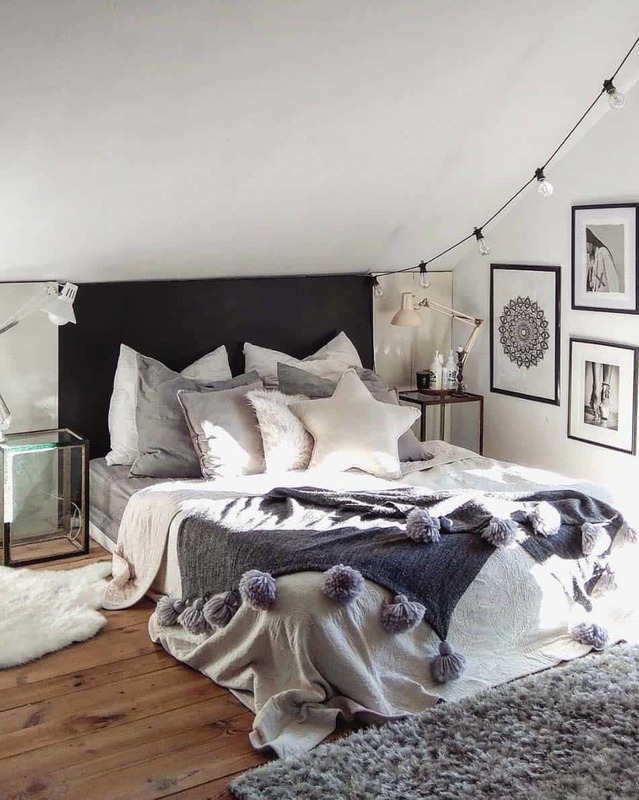 Don’t forget to add some textured pillows for added warmth and comfort. 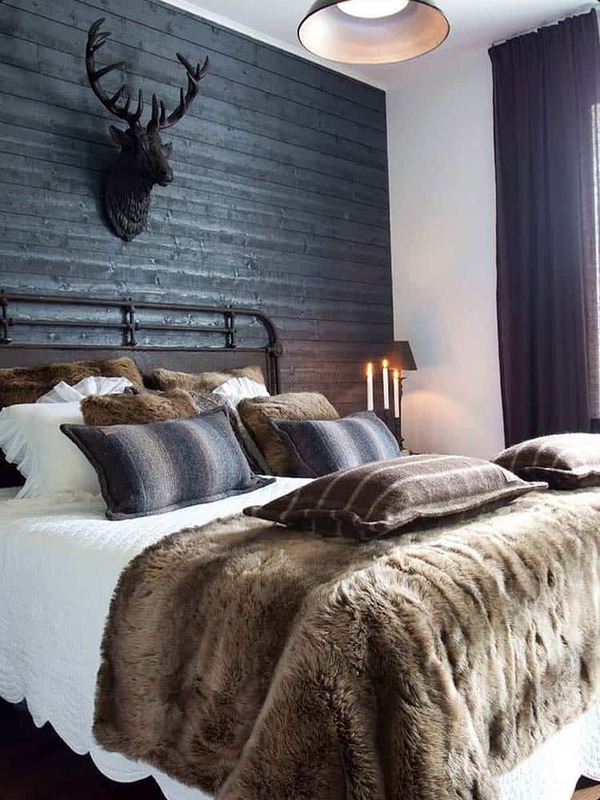 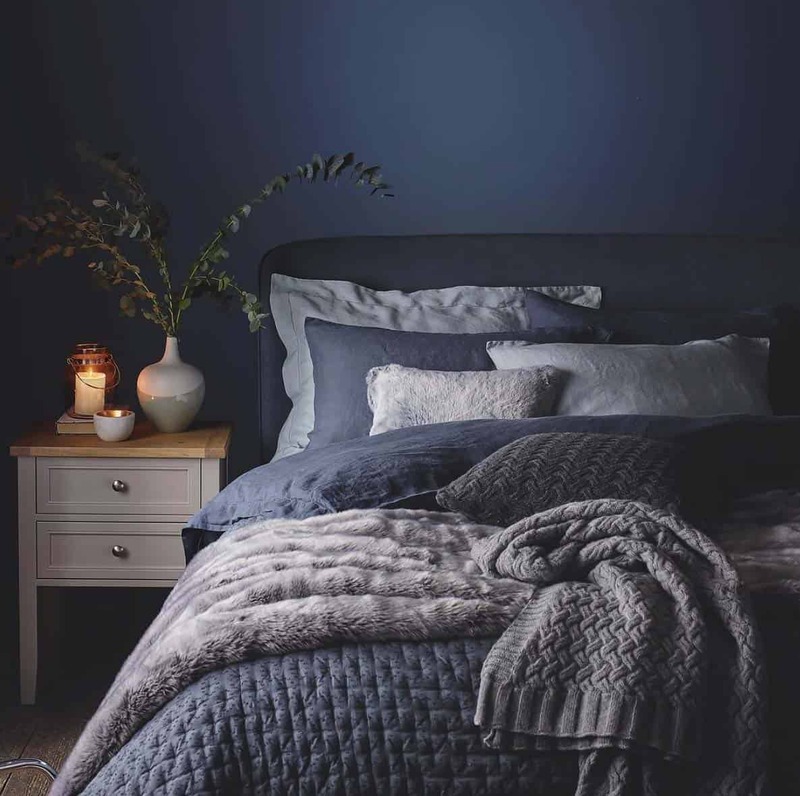 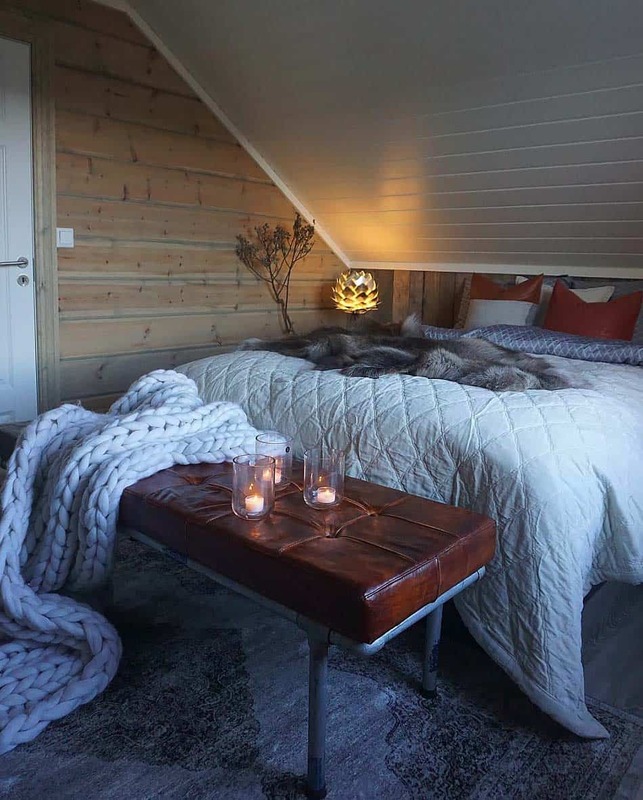 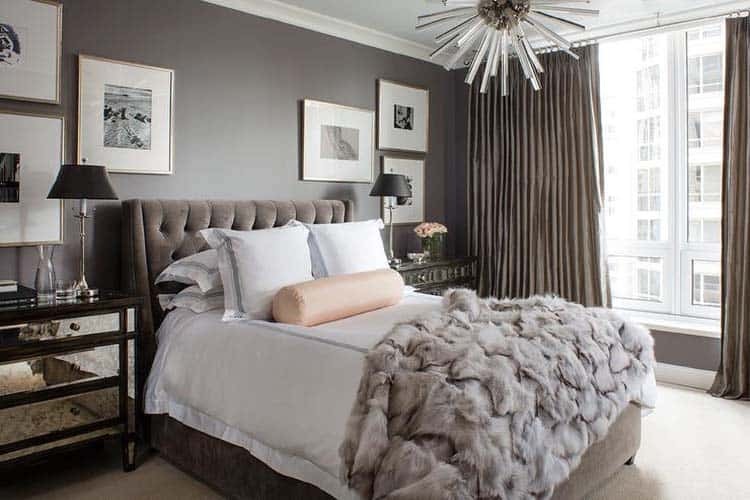 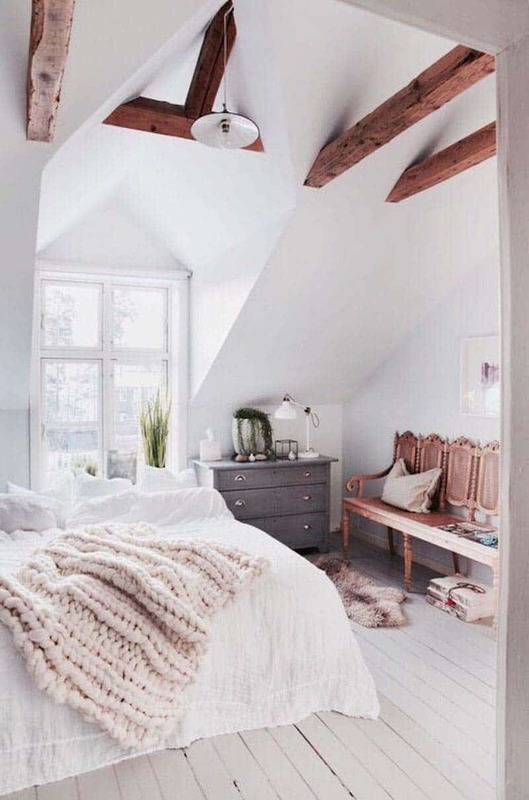 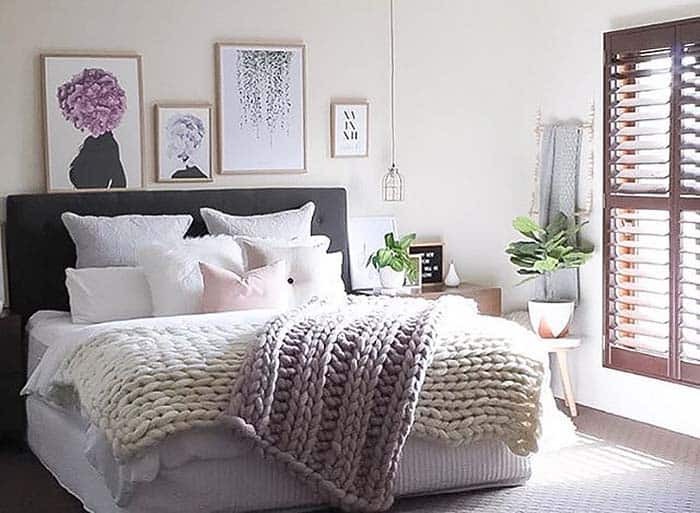 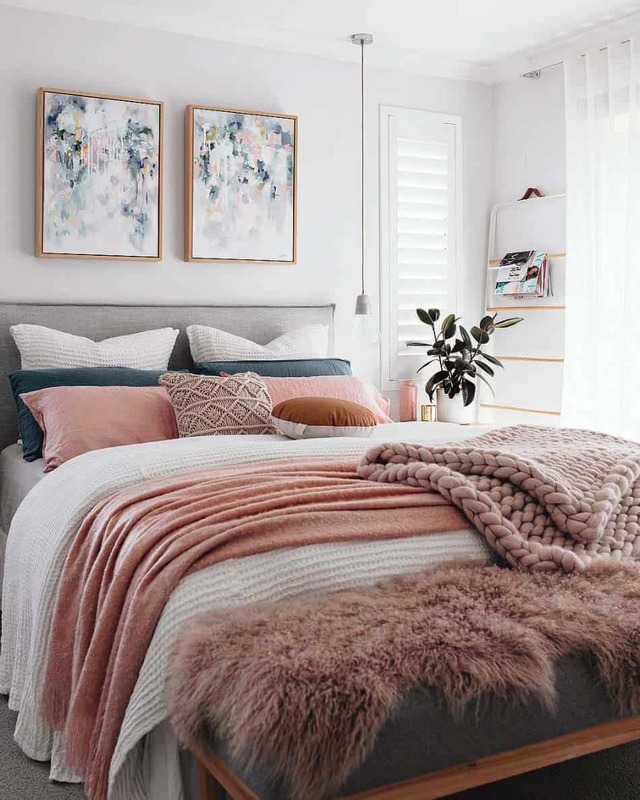 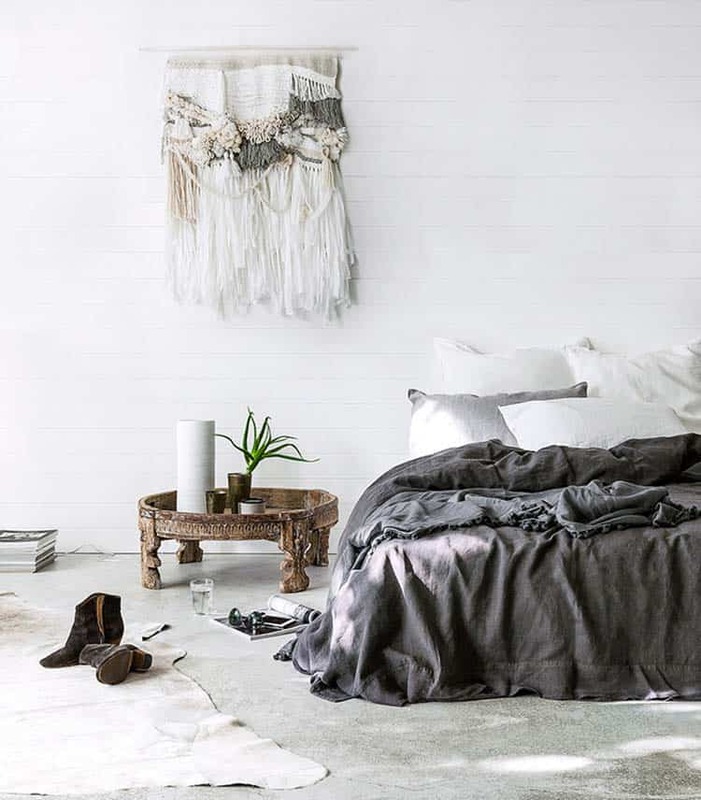 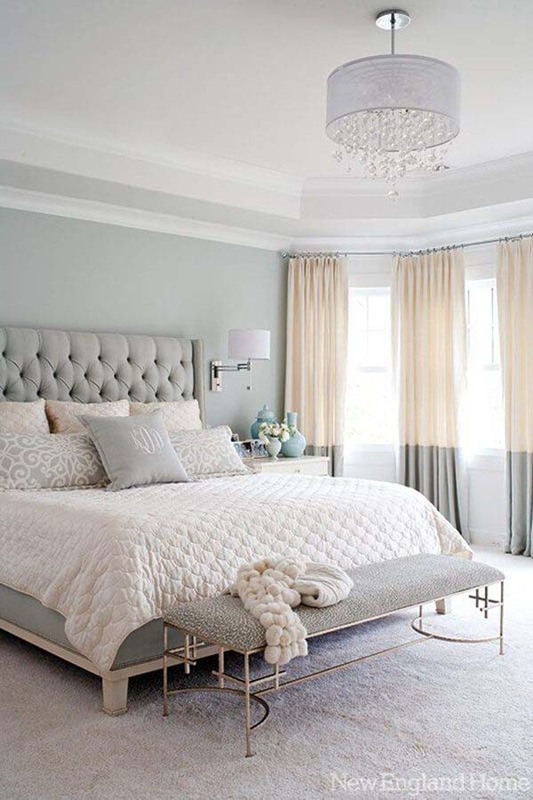 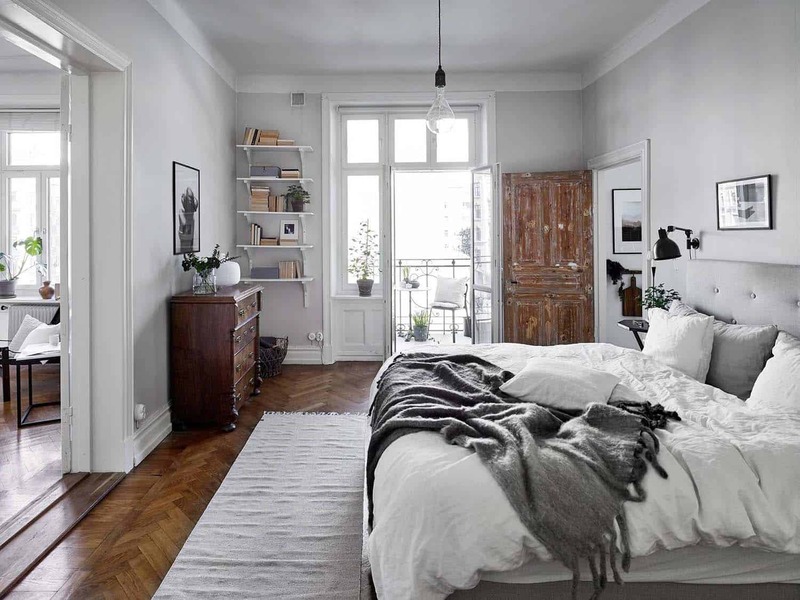 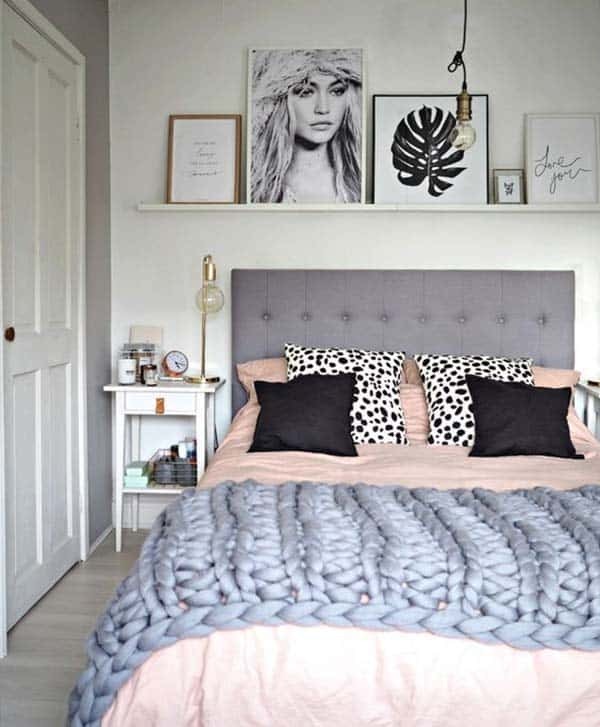 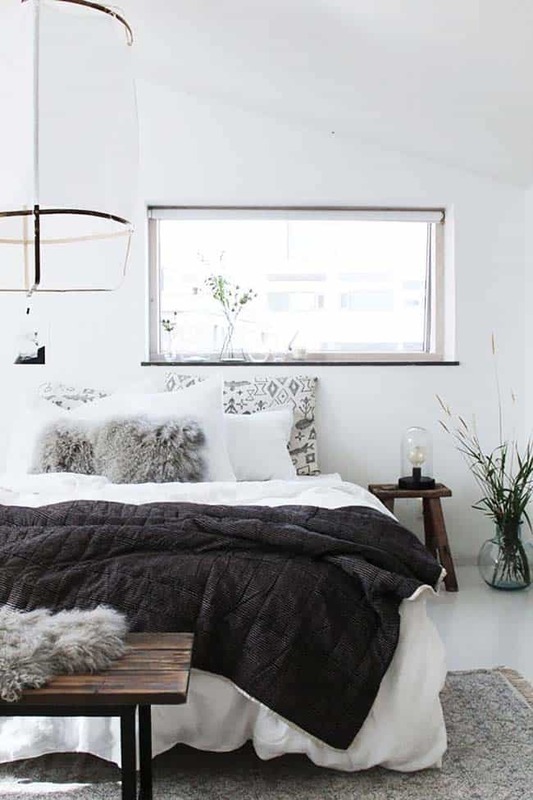 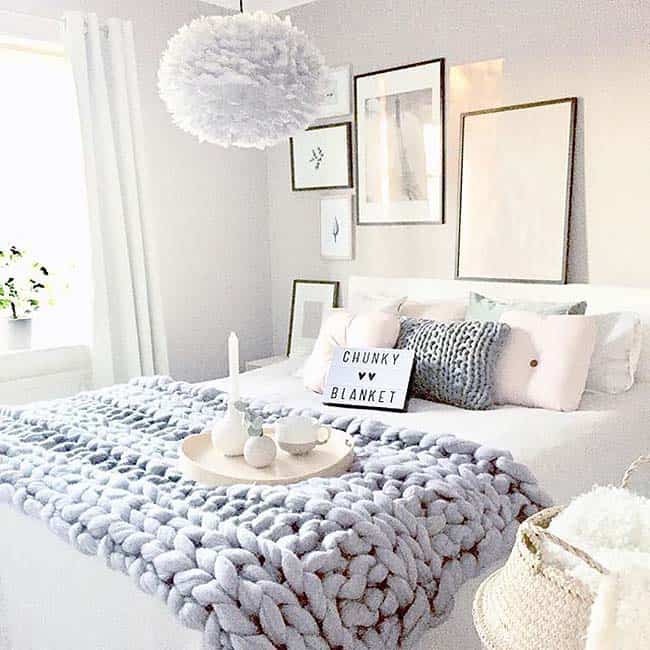 Cable knit and faux fur blankets are in trend right now on Pinterest and would look amazing in any bedroom scheme. 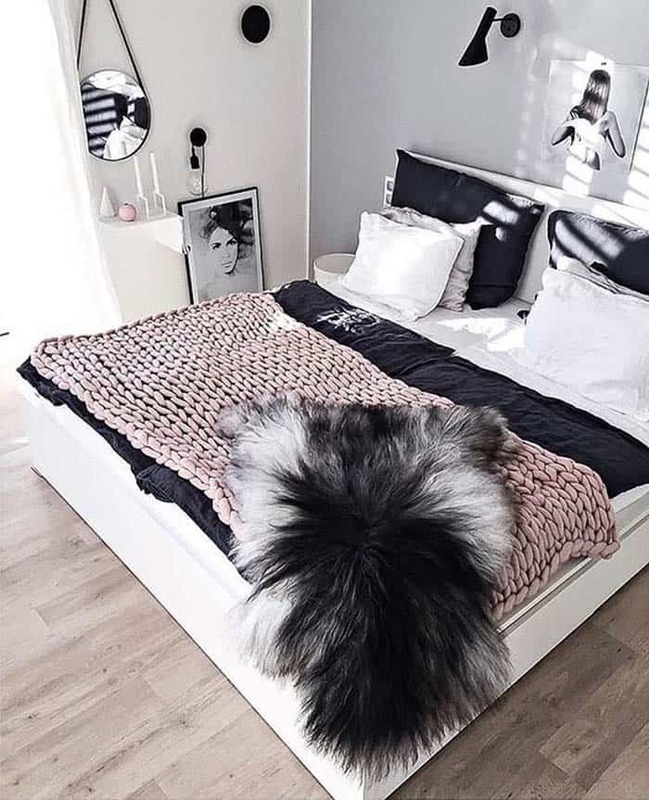 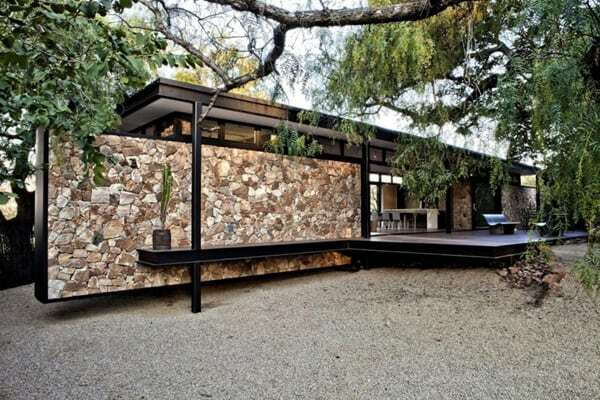 If you have tile or wood flooring, add a faux fur area rug on your floor for warmth underfoot. 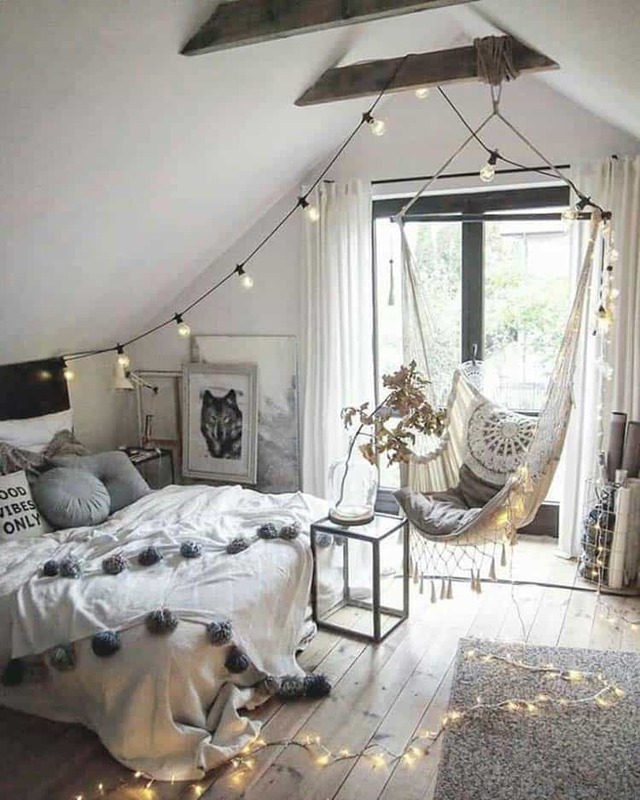 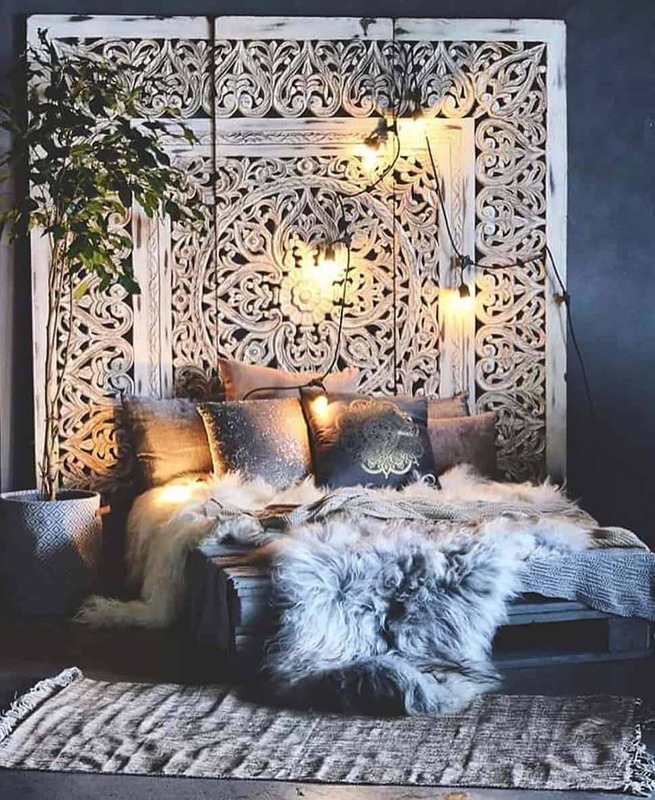 Decorate with candles for accessories, or add some fairy lights to infuse some magical ambiance into your space. 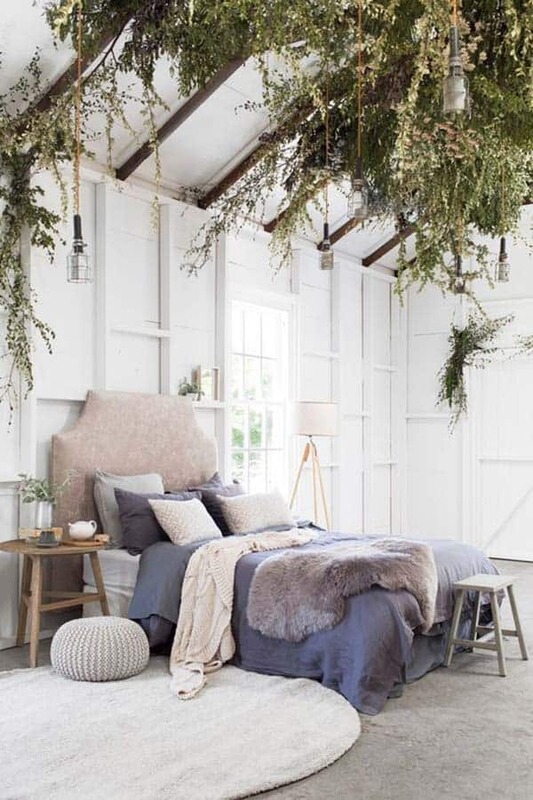 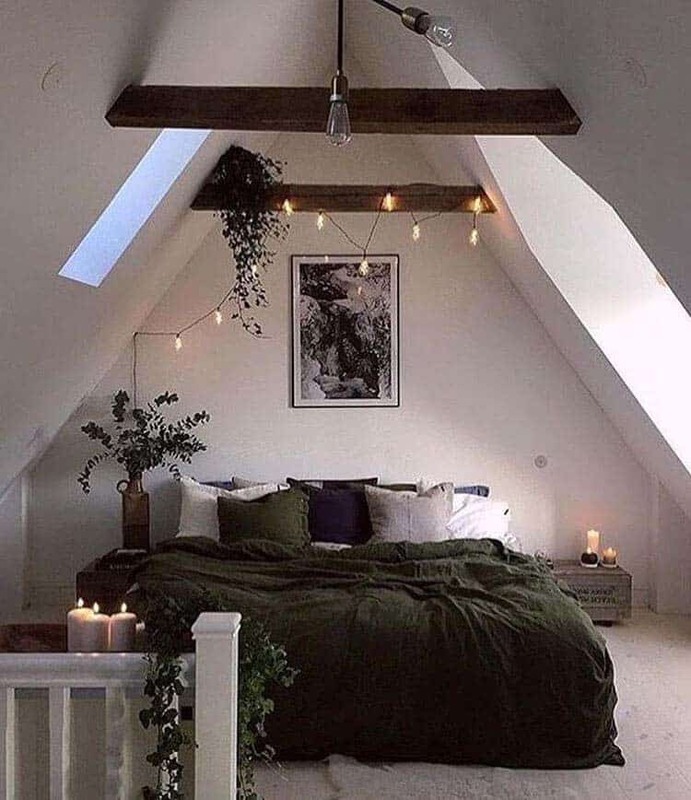 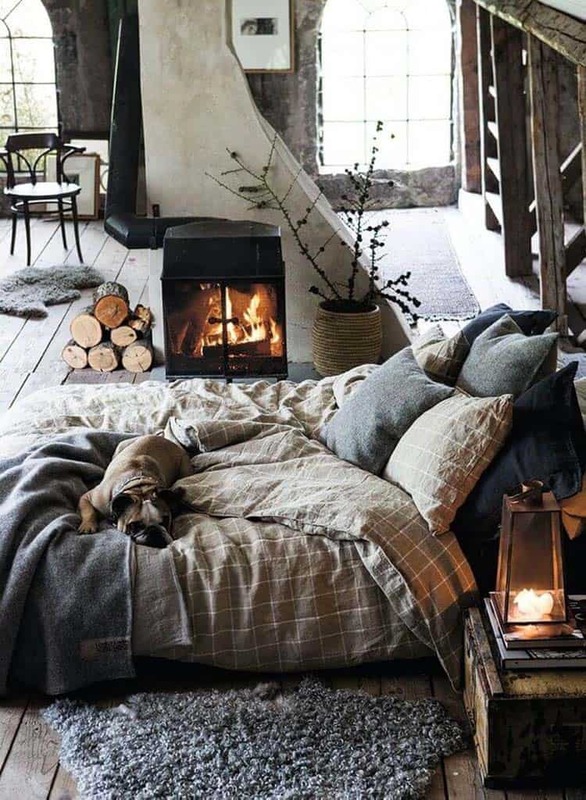 If you wish to make your bedroom a cozy oasis, just add a few warm touches such as the bedrooms that we have collected for you below. 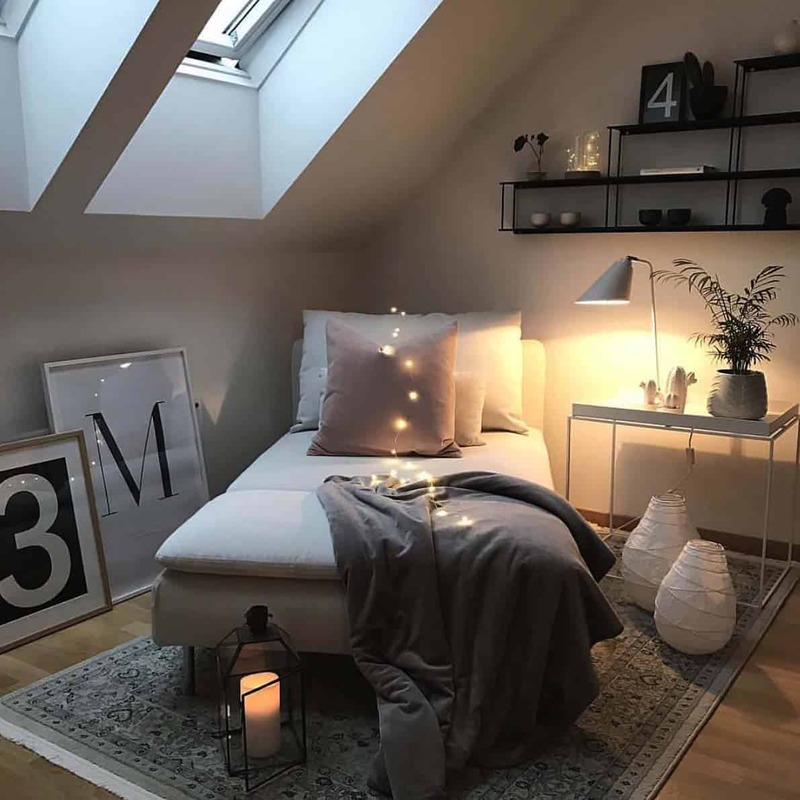 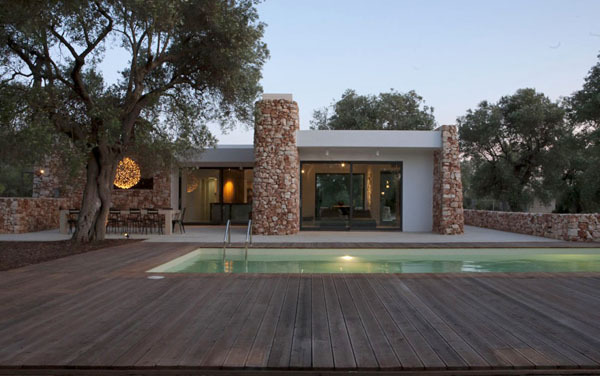 Don’t forget to let us know in the comments which one is your favorite and why!